One day a dad comes home drunk and mad. He pulls out a gun and kills his wife and then himself. Authorities find their little son crying next to the bodies. They put him in a good, loving home. One day he sees a cross with a man nailed to it. He asks, how did he get down? He didn't. Oh yes he did! When my daddy shot my mommy, He was holding me in His arms! 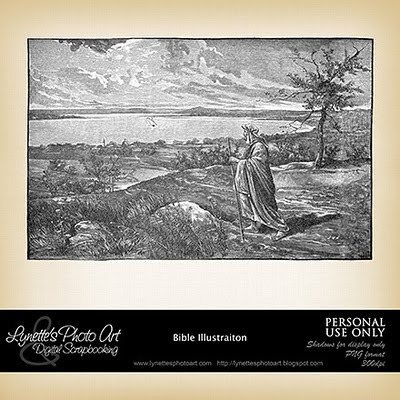 My gift for you today is this lovely illustration from an old Bible. I hope you can use it!